At Wholesale Direct Carports, we use galvanized steel in most of our metal buildings, including our carports, detached garages, RV carports, and horse barns. We use galvanized steel in our products because it is the best bang for your buck and, in the right conditions, will allow our metal buildings to stand tall and proud for more than half a century. Steel is naturally pest resistant and can withstand large amounts of wind and snow. 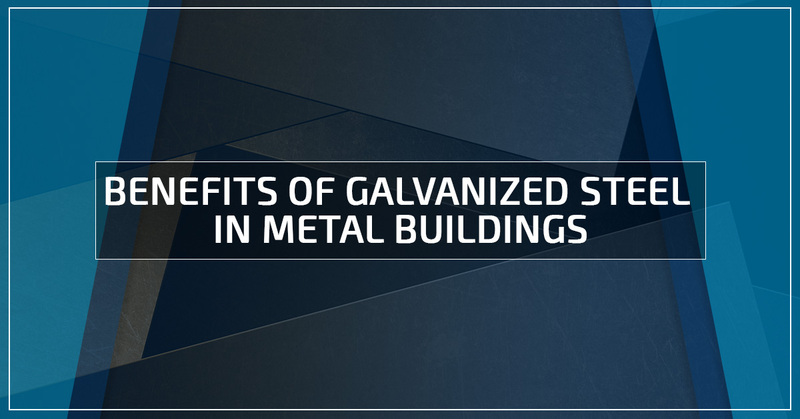 Here, we will discuss a few of the benefits of using galvanized steel over alternative products. Galvanizing is one of the least inexpensive coatings for steel, to include purchasing untreated steel and painting a protective coating on yourself. Hot-dip galvanizing steel with molten zinc forms a very strong bond with the steel, which hardens the metal and results in a very durable finish. Even in instances where the initial cost of galvanizing is higher than an alternative coating option, the overall maintenance is low and galvanized steel lasts much longer, which makes the long-term cost much lower. Because of the incredibly durable bond, repairing or replacing parts that have been weakened or needs to be recoated is minimal in comparison to other treated metals. Cleaning it is as easy as spraying it down with water. If you want to get fancy or make the galvanized steel shine, you can wipe it down with a soft cloth after spraying it down. Inspecting the galvanized coating is as easy as looking at the surface. If the steel and its coating appear to be continuous and sound, it’s because they are. Steel that is hot-dipped in zinc bonds at the molecular level and does not break down the way that organic materials do. Galvanization makes for one of the toughest protective coatings available.The biggest threat to steel is moisture, which causes steel to rust. When raw steel is galvanized with a zinc coating, moisture is no longer a concern.This tough exterior also means that galvanized steel structures are less likely to be damaged in transit. Because no type of preparation, treatment, or adding of additional protective coatings are required, construction is easier, quicker, and more secure. Once constructed, galvanized steel stands up to environmental assaults much better than any other metal. Galvanized steel uses a good deal of pre- and post-consumer recycled products. Once the metal has served its purpose, the zinc coating can be melted and reused as well as the steel can be reused. You may be done with the product long before the steel has met the end of its life. In rural-type conditions, galvanized steel can last more than 50 years before needing to be replaced. In heavily industrialized or humid coastal environments, it typically lasts longer than 25 years; far longer than any other coated metal. At Wholesale Direct Carports we only sell products that we are proud of. Galvanized steel allows our products to outlast their owners! Our galvanized steel metal buildings can stand up to austere environments and the worst that mother nature has to offer. Wind, flood, and snow weight rated, our metal buildings are some of the best in the industry. We can custom build the metal building of your dreams and delivery and installation are included. Call us to see what we can create for you!